The world is filled with hungry souls, people who are searching for satisfaction yet finding only emptiness. My father, Franklin Graham, has invited me to write to you to express our gratitude for partnering with us in sharing the true hope that fills longing souls with the goodness of the Saviour. We have seen incredible ministry take place this year as the Lord enabled the Billy Graham Evangelistic Association to proclaim the Gospel in America and to the ends of the earth. God has drawn hundreds of thousands of lost souls to Himself. “To Him be the glory” (2 Peter 3:18, NKJV). 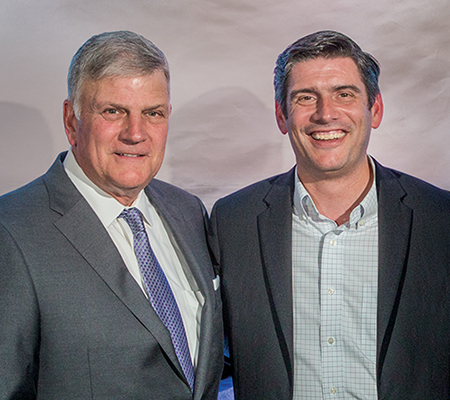 Franklin Graham and Will Graham at a recent ministry event in Charlotte, North Carolina. It’s also been an emotional year—one in which we had to say goodbye (for a time) to my grandfather Billy Graham. He would have turned 100 on Nov. 7. For this, we just want to say thank you. I recently returned from Canada where I preached the Gospel at Celebrations (which is what we call my Crusade outreaches) on back-to-back weekends in Rankin Inlet, Nunavut, a remote community near the Arctic Circle, and then in St. John’s, Newfoundland. We witnessed dramatic works of God as He healed hearts and changed lives in both places. A single mother in St. John’s was praying fervently that God would move in her teenage son’s life. He had been fighting at school, getting bullied, and using drugs. She brought him with her to the Celebration where he heard the Gospel, but when I invited those who wanted to give their lives to Jesus Christ to walk forward, he didn’t move. His mother, her heart breaking but hiding her disappointment, stepped out to walk to the front with a child who was there without his parents. But God was working. Minutes later she was overcome with emotion to see her 15-year-old coming forward. In early December, I will preach at outreach Celebrations in two cities in Thailand, and then my father will be holding an evangelistic Crusade in January in that nation’s largest city, Bangkok. We count on your prayers. The following month my father will go on a six-city tour to take the Gospel across Australia. My grandfather preached all across Australia in 1959, and God brought a great revival. But now, 60 years later, secularism has taken deep root and spread—I preached in Australia earlier this year and saw this firsthand. Please pray that God will draw many empty hearts in Australia to a life-changing relationship with Jesus Christ. 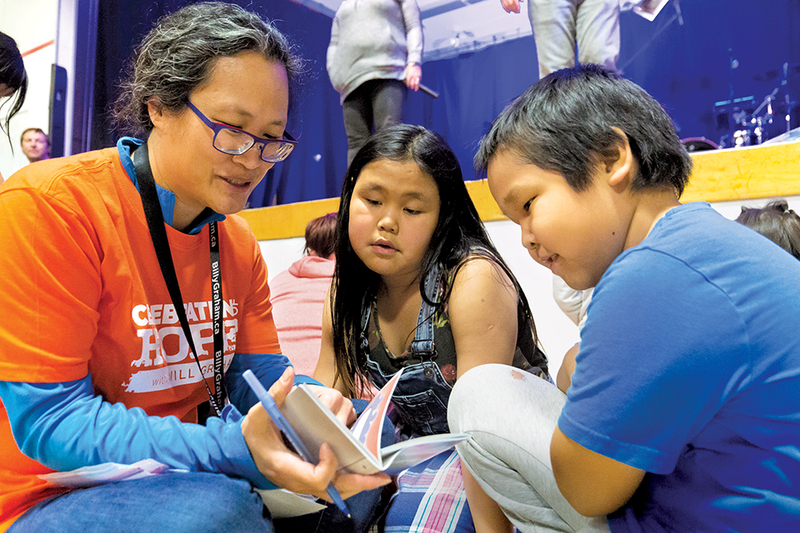 As God opens doors for 2019, the Billy Graham Evangelistic Association already has evangelistic events scheduled in 28 cities on five continents, with more still being added. I’m often asked if I’ve ever seen a miracle, and my response is that I’m blessed to see them regularly. Every time I see weary wanderers fall to their knees with tears streaming down their faces, crying out to Jesus for forgiveness and the hope of eternity, I see that which was once dead made alive again in Christ Jesus (see Ephesians 2:5). We thank God for His faithfulness in providing the harvest as we serve Him as sowers of the seed. My friends, I share all of these things because you have a part in them. Eternities are changed because you have been led by God to come alongside us in this ministry. As we turn our eyes to the Christmas season, I sincerely want you to know how deeply we appreciate each of you, your faithful prayers, and your continued generosity. Thank you for helping my father, me, and all of BGEA proclaim the Good News. Take joy in the fact that God uses you to reach souls for His glory! 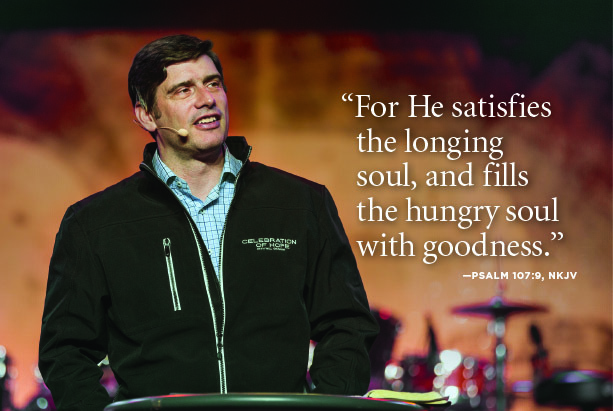 Will you support the ongoing mission of evangelism?